Join us on Saturday April 4th for the annual online Easter Hunt. We will randomly hide 20 Easter Eggs through out the website. Find the egg and find the prize in different dollar amounts ranging from $5.00 - $25.00 and as a special treat there will also be one "GOLDEN EGG" that will have a $50.00 gift certificate prize to spend on the website. Prizes must be redeemed by 4/5/15. Each egg/code found can only be used once. 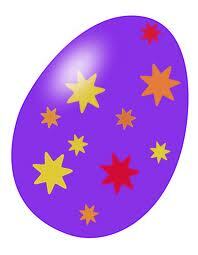 All Easter Egg Hunt orders will start being processed on Monday 4/6/15. Please allow at least 10 working days before your order ships out. This does not count shipping times.